March 6, 2015 – Five Borough Wrestling: Sammy Pickles defeated Willow Nightingale. March 28, 2015 – NYWC: Chrissy Rivera, Sammy Pickles and Willow Nightingale defeated J-Redd, Rick Cataldo and Ultimo Maya. April 18, 2015 – NYWC: Willow Nightingale defeated Brooke Danielle and Chrissy Rivera in a 3-way match. May 23, 2015 – FSW: Sumie Sakai defeated Willow Nightingale. July 30, 2015 – NYWC: Brooke Danielle, Sammy Pickles and Willow Nightingale defeated Aria Cadenza, Monique and Rick Cataldo. August 9, 2015 – MPUSA/NYWC: Davienne and Renee Michelle defeated Sumie Sakai and Willow Nightingale. August 12, 2015 – CZW Dojo Wars: Buckaroo Billy, David John Willard, Ken Phoenix and Mike McCallister defeated Eddy Blackwater, Jeff Cannonball, Josh Adams and Willow Nightingale. August 15, 2015 – DCW: Aria Cadenza defeated Willow Nightingale in the quarter-finals. August 27, 2015 – NYWC: Aria Cadenza defeated Willow Nightingale. October 4, 2015 – MPUSA/NYWC: Veda Scott and Willow Nightingale defeated Brittany Blake and Deonna Purrazzo. October 24, 2015 – NYWC: Willow Nightingale defeated Marti Belle. December 18, 2015 – FBW: Brooke Danielle defeated Willow Nightingale in a dark match. December 19, 2015 – NYWC: Brooke Danielle defeated Willow Nightingale. January 9, 2016 – ACE: Brooke Danielle defeated Willow Nightingale. January 30, 2016 – NYWC: Willow Nightingale defeated Brooke Danielle. February 6, 2016 – National Pro Wrestling Day: The Estonian ThunderFrog defeated Mike Verna, Rock Lobster and Willow Nightingale in a 4-way, elimination, 1st round match. February 13, 2016 – MPUSA/NYWC: Bam Sullivan, Boo Sullivan, Mouse and Stockade defeated Blake Morris, Rex Lawless, Brad Benson and Willow Nightingale. February 27, 2016 – NYWC: Willow Nightingale defeated Aria Cadenza to win the NYWC Starlet title. February 28, 2016 – NYWC vs. SWA: Willow Nightingale defeated Chrissy Rivera to retain the NYWC Starlet title. March 5, 2016 – ACE: Jamal Jackson and Willow Nightingale defeated Anthony Ramirez and Brooke Danielle. March 20, 2016 – BCW: Devil Doll defeated Willow Nightingale. March 26, 2016 – NYWC: Willow Nightingale defeated Solo Darling to retain the NYWC Starlet title. April 3, 2016 – ACE: Terra Calaway defeated Brooke Danielle and Willow Nightingale in a 3-way match to retain the PWM women’s title. April 8, 2016 – GCW: Deonna Purrazzo defeated Karen Yu, Miranda Vionette and Willow Nightingale in a 4-way elimination match to become #1 contender for the women’s title. April 10, 2016 – WWR: Sonya Strong defeated Davienne, Miranda Vionette and Willow Nightingale in a 4-way match. April 30, 2016 – NYWC: Willow Nightingale defeated Deonna Purrazzo to retain the Starlet title. May 6, 2016 – VOW: Willow Nightingale defeated Britt Baker in the 1st round. Terra Calaway defeated Devyn Nicole and Willow Nightingale in a 3-way elimination, semi-finals match. 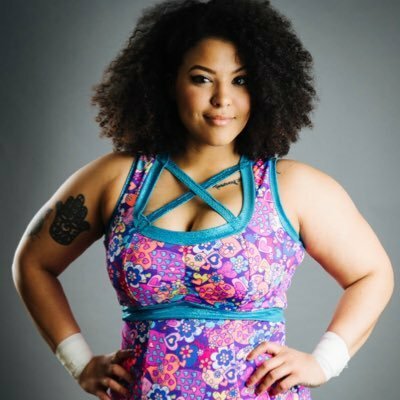 May 14, 2016 – ACE: Willow Nightingale defeated Damaris. May 21, 2016 – NYWC: Willow Nightingale defeated Sammy Pickles to retain the Starlet title. May 28, 2016 – KPW: Vanity defeated Willow Nightingale. June 4, 2016 – ACE: Damaris defeated Willow Nightingale. June 18, 2016 – NYWC: NYWC Starlet champion Willow Nightingale defeated Chrissy Rivera to retain the title. June 25, 2016 – BCW: Sonya Strong vs. Willow Nightingale ended in a time limit draw. February 25, 2017 – NYWC: Willow Nightingale defeated J-Redd to win the Starlet title. March 3, 2017 – ACE: Willow Nightingale defeated Jayel Cotto. March 4, 2017 – WWR: Willow Nightingale defeated Skylar. March 25, 2017 – NYWC: Willow Nightingale defeated Rick Cataldo to retain the Starlet title. March 30, 2017 – OCW/FTPW: Veda Scott and Willow Nightingale defeated Eddy McQueen and Layne Rosario in a dark match. Lindsay Snow defeated Brandi Lauren and Angel Rose and Brooke Danielle and Chrissy Rivera and Lacy Lane and Trish Adora and Willow Nightingale and Aria Blake in a gauntlet match to win the FTPW Ladies title. April 8, 2017 – WOW: Sonya Strong defeated Hellen Vale, Terra Callaway and Willow Nightingale in a 4-way, 1st round match. April 22, 2017 – HOG: Sonya Strong and Willow Nightingale defeated Sumie Sakai and Violette. April 23, 2017 – NYWC: Willow Nightingale vs. Sumie Sakai ended in a draw. Willow retains the Starlet title. May 13, 2017 – WSU: LuFisto defeated Willow Nightingale. May 20, 2017 – NYWC: Willow Nightingale defeated Brittney Savage and Victoria Von Black in a 3-way match to retain the Starlet title. May 26, 2017 – BCW: Willow Nightingale defeated Nikki Addams. June 3, 2017 – ACE: Nadi defeated Willow Nightingale. June 9, 2017 – WOW: C-Bunny and Willow Nightingale defeated Hellen Vale and Katred. June 17, 2017 – NYWC: Willow Nightingale defeated Brittney Savage to retain the Starlet title. June 23, 2017 – BCW: Katred and Nikki Addams defeated Faye Jackson and Willow Nightingale. June 24, 2017 – ECWA: Willow Nightingale defeated Gemma Cross and Tasha Steelz in a 3-way match. July 1, 2017 – JAPW: Katred defeated Terra Calaway, Allie Recks and Willow Nightingale in a 4-way match. July 2, 2017 – Beyond Wrestling: Terra Calaway defeated Willow Nightingale. July 27, 2017 – NYWC: Willow Nightingale defeated Karen Q to retain the Starlet title. July 29, 2017 – BCW: Willow Nightingale defeated Tasha Steelz. August 12, 2017 – H20 Wrestling: Maria Manic defeated Willow Nightingale. August 24, 2017 – NYWC: Willow Nightingale defeated Tasha Steelz to retain the Starlet title. September 9, 2017 – WSU: Blackwater and Su Yung defeated Anthony Bennett and Willow Nightingale in the 1st round of the Queen & King tournament. September 22, 2017 – Limitless: Skylar defeated Willow Nightingale. September 30, 2017 – NYWC: Willow Nightingale defeated Kris Statlander to retain the Starlet title. October 8, 2017 – WWR: Willow Nightingale defeated Elena Pogosyan. October 20, 2017 – FBW: Willow Nightingale defeated Su Yung. October 21, 2017 – NYWC: Big O and Willow Nightingale defeated Randy Summers and Rick Cataldo. November 3, 2017 – Limitless: Terra Calaway defeated Ashley Vox, Davienne, Kennedi Copeland, Skylar and Willow Nightingale in a 6-way match. November 12, 2017 – Born To Fight Wrestling Event: Nyla Rose, Adira and Katred defeated Willow Nightingale, Kennedi Copeland and C-Bunny. November 25, 2017 – NYWC: Willow Nightingale defeated Terra Calaway to retain the Starlet title. November 26, 2017 – WWR: Karen Q defeated Willow Nightingale in the 1st round. December 1, 2017 – RISE 6: Hyannis and Maritza Janett defeated Trixie Tash and Willow Nightingale. December 2, 2017 – AWS: Aerial Monroe defeated Derby Doll and Hawlee Lane and Jewells Malone and Kikyo and Lacey Lane and Maritza Janett and Penelope Ford and Pizza Cat and Savannah Evans and Trixie Tash and Willow Nightingale in a battle royal. December 2, 2017 – RISE 6.5: Dust defeated Willow Nightingale. December 3, 2017 – CWFH: Shotzi Blackheart defeated Willow Nightingale. December 23, 2017 – NYWC: Willow Nightingale defeated Adria to retain the Starlet title. January 13, 2018 – NYWC: Willow Nightingale defeated Vanity to retain the Starlet title. January 20, 2018 – QOC 20: Savannah Evans defeated Willow Nightingale. January 21, 2018 – QOC 21: Priscilla Kelly defeated Willow Nightingale. January 28, 2018 – WWR: Solo Darling defeated Willow Nightingale. Willow Nightingale was also in the Revolutionary Rumble won by Jordynne Grace. February 10, 2018 – WOW: C-Bunny and Willow Nightingale defeated Thumper and Vanity. February 25, 2018 – NYWC: Willow Nightingale defeated Mike Mondo to retain the Starlet title. March 3, 2018 – BCP: Harlow O’Hara defeated Willow Nightingale. March 17, 2018 – CWF Mid-Atlantic: Willow Nightingale defeated Aspyn Rose. March 25, 2018 – WWR: Oceanea defeated Willow Nightingale. March 31, 2018 – NYWC: Willow Nightingale defeated Terra Calaway to retain the Starlet title. April 3, 2018 – RISE 7: Deuce’s Alliance (Cheerleader Melissa, Shotzi Blackheart and Willow Nightingale) defeated Gokumon-To (Dynamite DiDi, Kikyo and Kris Wolf) in a tag team elimination match. April 13, 2018 – RISE 7: Deuce’s Alliance (Cheerleader Melissa, Shotzi Blackheart and Willow Nightingale) defeated Gokumon-To (Dynamite DiDi, Kikyo and Kris Wolf) in a tag team elimination match. April 14, 2018 – SHIMMER Volume 101: Mercedes Martinez defeated Willow Nightingale. April 15, 2018 – SHIMMER Volume 103: Willow Nightingale defeats Sierra. April 15, 2018 – SHIMMER Volume 104: Melanie Cruise defeated Willow Nightingale. April 28, 2018 – NYWC: Willow Nightingale defeated Maria Manic to retain the Starlet title. May 19, 2018 – NYWC: Willow Nightingale defeated Davienne, Gabby Ortiz and Terra Calaway in a 4-way match to retain the Starlet title. May 26, 2018 – BCP: Willow Nightingale defeated Kiera Hogan. May 27, 2018 – WWR: The Bird And The Bee (Solo Darling and Willow Nightingale) defeated Alisha Edwards and Gillian Leigh. June 9, 2018 – SHINE 51: Natalia Markova defeated Aja Perera and Willow Nightingale in a 3-way match. 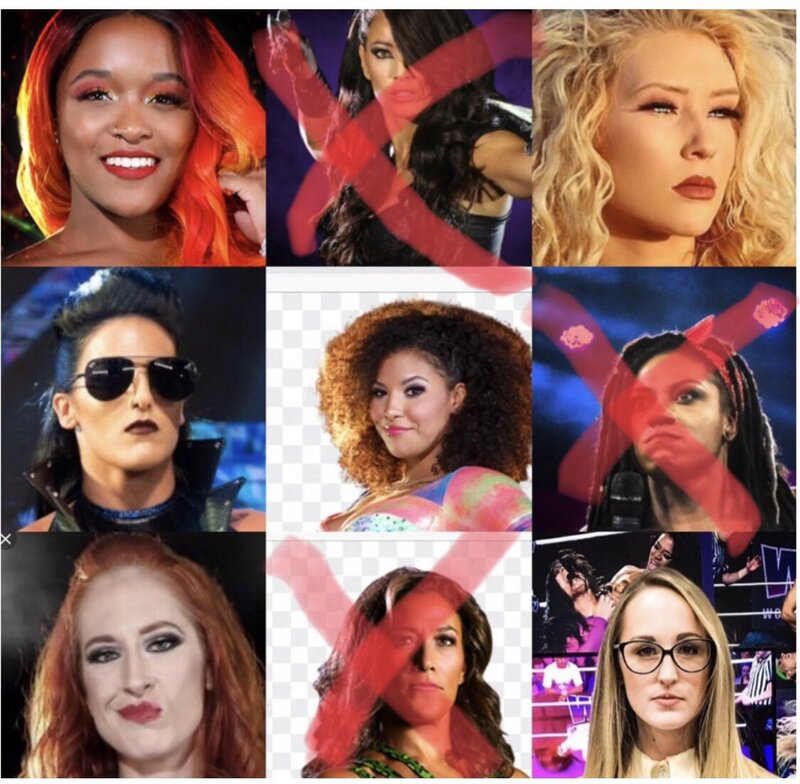 June 16, 2018 – WSU: Leyla Hirsch defeated Willow Nightingale. June 30, 2018 – AWS: Willow Nightingale defeated Dust in the 1st round. Aerial Monroe defeated Willow Nightingale in the semi-finals. July 20, 2018 – Let’s Hang Out! – A Collaborative Effort By LVAC & BWA: Dasher Hatfield, Kodama, UltraMantis Black and Willow Nightingale defeated Hallowicked, Kobald, Merlok and Oceanea. July 21, 2018 – Synergy: Jeff Cannonball and Terra Calaway defeated Rex Lawless and Willow Nightingale. August 24, 2018 – Blackcraft: Harlow O’Hara and Vipress defeated Ashley Vox and Willow Nightingale in a dark match. August 25, 2018 – ACW/Rogue: Thunder Rosa defeated Willow Nightingale. August 26, 2018 – WWR: Willow Nightingale defeated Alisha Edwards. August 27, 2018 – NYWC: Rex Lawless and Willow Nightingale defeated Cajun Crawdad and Hermit Crab by count-out. September 16, 2018 – Beyond Somebody’s Farewell, Probably: Willow Nightingale defeated Penelope Ford. September 21, 2018 – LW: Davienne and Kris Stadtlander defeated Ashley Vox and Willow Nightingale. September 29, 2018 – NYWC: Willow Nightingale defeated Kasey Catal and Terra Calaway in a 3-way match to retain the Starlet title. October 19, 2018 – NOVA: Breaux Keller and Willow Nightingale defeated Harlow O’Hara and Kevin Blackwood in the 1st round. Booty And The Ace (Arik Royal and Faye Jackson) defeated Pop Culture (Jason Cade and Veda Scott), The Aristokats (Allie Kat and Maxwell Jacob Friedman) & Breaux Keller and Willow Nightingale in a 4-way tag team elimination match to win the Sadie Hawkins Invitational Tournament. October 20, 2018 – SHIMMER Volume 106: Willow Nightingale defeated Dynamite DiDi. October 21, 2018 – SHIMMER Volume 107: Dust defeated Willow Nightingale to retain the Heart Of SHIMMER title. October 21, 2018 – SHIMMER Volume 108: Willow Nightingale defeated Zoe Lucas. October 28, 2018 – WWR vs. The World: The Bird And The Bee (Solo Darling and Willow Nightingale) defeated Undeniably Impressive (Indi Hartwell and Tessa Blanchard). November 10, 2018 – Angel Gate: Jenna Van Muscles defeated Willow Nightingale. November 17, 2018 – WH20: Willow Nightingale defeated Davienne and Katred in a 3-way match. November 23, 2018 – NYWC: Brandon Watts and Willow Nightingale defeated Bull James and Kimber Lee. December 7, 2018 – CW: Tasha Steelz defeated Willow Nightingale to retain the women’s title. December 15, 2018 – SHINE 55: Allie Recks and Willow Nightingale defeated Brandi Lauren and Jenna. December 28, 2018 – LVAC: Willow Nightingale defeated Rex Lawless. December 29, 2018 – NYWC: Bull James, Kris Stadtlander and Rex Lawless defeated Brandon Watts, King Mega and Willow Nightingale. December 30, 2018 – Beyond Tournament For Tomorrow: The Bird And The Bee (Solo Darling and Willow Nightingale) defeated Team Black And Blue (Davienne and Miranda Vionette) in the 1st round. The Bird And The Bee (Solo Darling and Willow Nightingale) defeated Team Adams (Karen Q and Tasha Steelz) in the semi-finals. The Bird And The Bee (Solo Darling and Willow Nightingale) defeated The Twisted Sisters (Holidead and Thunder Rosa) to win the tournament. December 31, 2019 – Beyond Heavy Lies The Crown: The Beaver Boys (Alex Reynolds and John Silver) defeated The Bird And The Bee (Solo Darling and Willow Nightingale). January 11, 2019 – LW: Brandon Kirk defeated Ace Austin, Jordan Oliver, Ophidian, The Whisper and Willow Nightingale in a 6-way match. January 18, 2019 – WOW Women Of Wrestling #1 (Taped): Eye Candy defeated Khloe Hurtz. January 25, 2019 – Flying V Fights: Fight Or Flight: Brittany Blake defeated Willow Nightingale. January 26, 2019 – NYWC: Willow Nightingale defeated Kris Stadtlander to win the best of 5 series 3-2 and taking advantage in the psycho circus match. February 8, 2019 – WOW Women Of Wrestling #4 (Taped): The Beverly Hills Babe defeated Eye Candy. February 10, 2019 – CHIKARA: The Bird And The Bee (Solo Darling and Willow Nightingale) defeated Los Ice Creams (El Hijo del Ice Cream and Ice Cream Jr.), The Colony (Green Ant and Thief Ant) & The Proteus Wheel (Frantik and Volgar) in a 4-way tag team elimination match. February 22, 2019 – C4: Alexia Nicole and Willow Nightingale defeated KC Spinelli and Veda Scott. February 23, 2019 – WWR: The Bird And The Bee (Solo Darling and Willow Nightingale) defeated Allie Kat and Veda Scott. February 23, 2019 – NYWC: Team Bull James (Brad Benson, Bull James, CJ Benson, Kris Stadtlander, Mouse and Rex Lawless) defeated The Culture (King Mega (c), Brandon Watts (c), Dave McCall (c), Nate Carter (c), Chris Bishop and Willow Nightingale (c)) in a psycho circus match, where all titles changed hands. February 24, 2019 – Beyond Treasure Hunt: Chris Dickinson defeated Willow Nightingale in the 1st round. Willow Nightingale suffered a neck injury and will be out of action for a unknown amount of time. March 1, 2019 – WOW Women Of Wrestling #7 (Taped): Havok defeated Eye Candy. @OutlawProWres @CasanovaVal666 @NYWCWRESTLING @blvdbullies @AQueenoftheRing @ShotOfWrestling @RealBullJames @ManOfSteelMV @w_nightingale_ @RexLawless1 @theboydiva Bought my ticket today!! 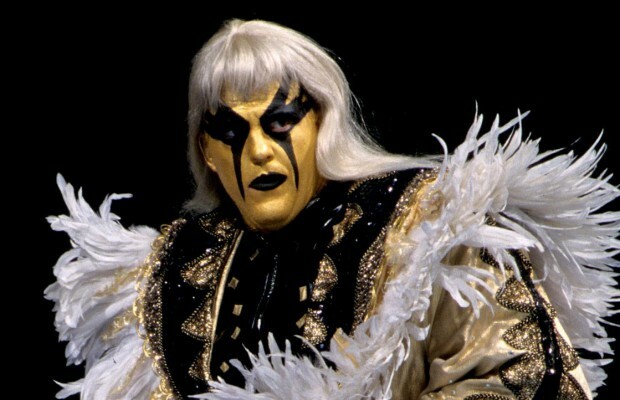 @JLW_the_Jobber @CasanovaVal666 @KitOsbourne @kodyrice13 @SeanH_H2O @Gabbity @Tony_Deppen @w_nightingale_ Give it a little time. Your going to see me everywhere!